Racism clouds old Hollywood movies. Even films intended in their time to be progressive and tolerant can look shockingly bigoted today. 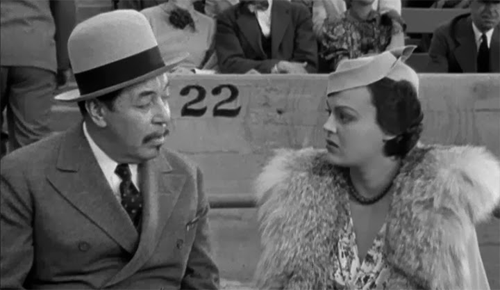 Consider Charlie Chan at the Opera, which the Stanford will screen Thursday and Friday. And that’s just the beginning. The theater will screen Charlie Chan mysteries every Thursday and Friday through October 10, each double-billed with a Basil Rathbone/Nigel Bruce Sherlock Holmes movie. Most of these pictures were cheap B movies, running little more than an hour and intended to fill out the bottom half of a double bill. The Stanford gives the series a good start this week with The Adventures of Sherlock Holmes and the aforementioned Charlie Chan at the Opera. I consider Adventures the best of the Rathbone/Bruce series. Opera–the only Charlie Chan movie I’ve yet seen–has a high reputation amongst fans of the series. I want to talk primarily about Chan, but I’ll cover Holmes at the end of this article. Charlie Chan is a fictional Chinese-American police detective created by Earl Derr Biggers. He first appeared in novels, then made the leap to movies. And yet, I can’t condemn the film entirely. Taken in context of its time (1936), it offers a surprisingly positive view of Chinese Americans. After all, Chan is the hero. He’s not a Fu Manchu-type yellow horde villain. Nor is he a helpless victim or sidekick. He’s always the smartest, wisest, and most ethical person in the room. The result is a parent/child relationship that would have looked very familiar to a great many American families of the 1930s–including that of my light-skinned, blonde-haired mother. Immigrant parents struggled with the English language and kept one foot in the customs of the old country, while their American-raised kids assimilated into the surrounding culture. This is still happening now, of course, but was happening in greater numbers back then. Charlie Chan at the Opera has a Lestrade character–the bumbling detective who gets everything wrong. But two things make this conventional mystery character particularly interesting. First, he’s played by the wonderful William Demarest, who would light up so much of Preston Sturges’ work in the next decade. Second, he’s a bigot who doesn’t like taking orders from “chop suey.” With this character, the film strongly suggests that bigotry and stupidity go hand and hand. 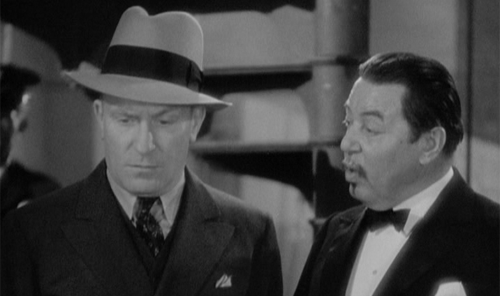 Aside from its racial undercurrent, Charlie Chan at the Opera succeeds in being exactly what it was intended to be–an unexceptional but entertaining short mystery feature. The presence of Demarest, and even more so of Boris Karloff as an escaped lunatic, raises Opera above other such movies. No racial issues in this film…unless, of course, you think about the fact that everyone in it is white. But I’ve covered that issue already. The Adventures of Sherlock Holmes was the second of 14 Sherlock Holmes films starring Basil Rathbone as the famous detective and Nigel Bruce as his sidekick, Dr. Watson. It’s the last of the series shot on a decent budget and the last one made at 20th Century-Fox. It’s also set in Victorian times, which seems obvious today but was somewhat daring back then. As far as I know, every Sherlock Holmes movie made before Adventures’ predecessor, The Hound of the Baskervilles, was updated to the present. But Fox made Hound and Adventures as period pieces. At the time, this may have felt like setting a James Bond flick in the 1950s (which would actually be pretty cool). Officially based on William Gillette’s 1899 stage play Sherlock Holmes, but very much an original story, Adventures pits Holmes and Watson against arch-villain Professor Moriarty (George Zucco). 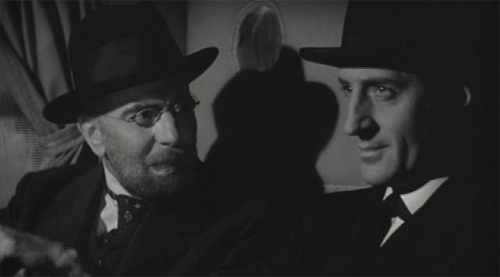 Holmes and Moriarty enjoy an interesting relationship in this film. They appear to admire and even like each other, even though they know that one of them must eventually destroy the other. The soundstage recreation of 19th-century London provides atmosphere, as do the supporting characters. And even though we’re told who the villain is from the start, it’s still a lot of fun. Besides, it has Ida Lupino. Fox decided not to continue the series. But after Pearl Harbor, Universal picked it up again, updating the stories to the present so that Holmes could track down Nazi spies–although in most of these movies he goes after conventional criminals. Universal made 12 pictures before Rathbone called it quits in 1946. These movies were quickly written and quickly shot, and suffer from huge plot holes. But they’re all reasonably fun. None of them come up to the quality of the two Fox pictures. 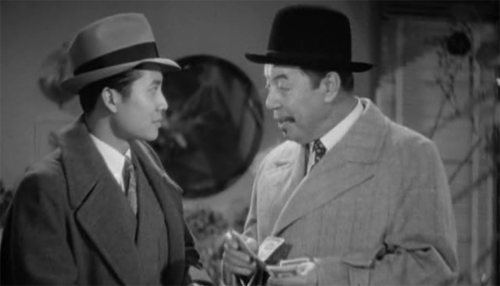 Lincoln, I think you’re right that we can’t condemn the Charlie Chan series 100%–for all its yellowfacing and stereotyping, Charlie Chan is an admirable detective with a sharp Americanized son, and they win in the end. But the Mantan Moreland chauffeur character is hard to take too, with his stereotypical black wide eyes and fear of ghosts. I didn’t realize that Moreland was in any of the Chans. He’s certainly not in Opera. Certainly the stereotyping was much worse for African Americans. I don’t think Hollywood gave us a black detective until 1967 with In the Heat of the Night.